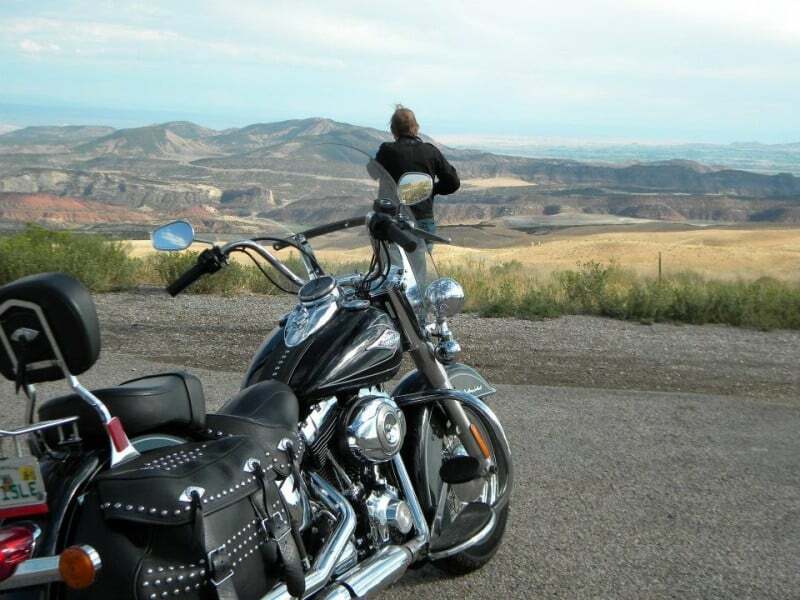 Explore America on a Harley Davidson motorcycle on the ride to the Stugis Motorcycle Rally. 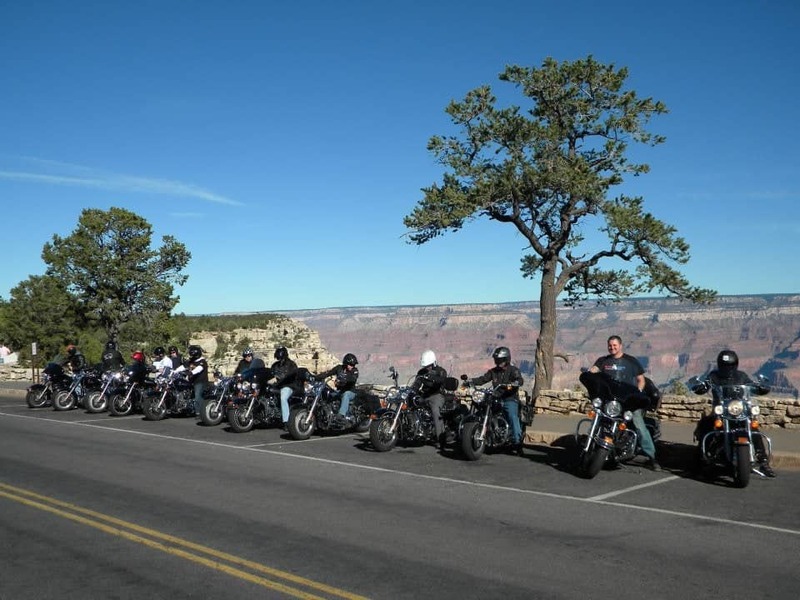 Join us for a motorcycle adventure on tour through Yellowstone Park, Montana, Colorado, the Grand Canyon, Monument Valley, and Las Vegas. IT IS TIME TO BOOK YOUR 2020 STURGIS MOTORCYCLE TOUR NOW! 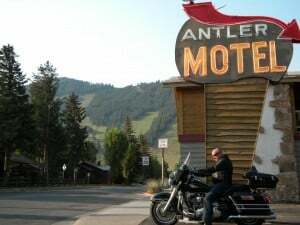 Contact for 2019 Sturgis Dates – Book 2020 Now! 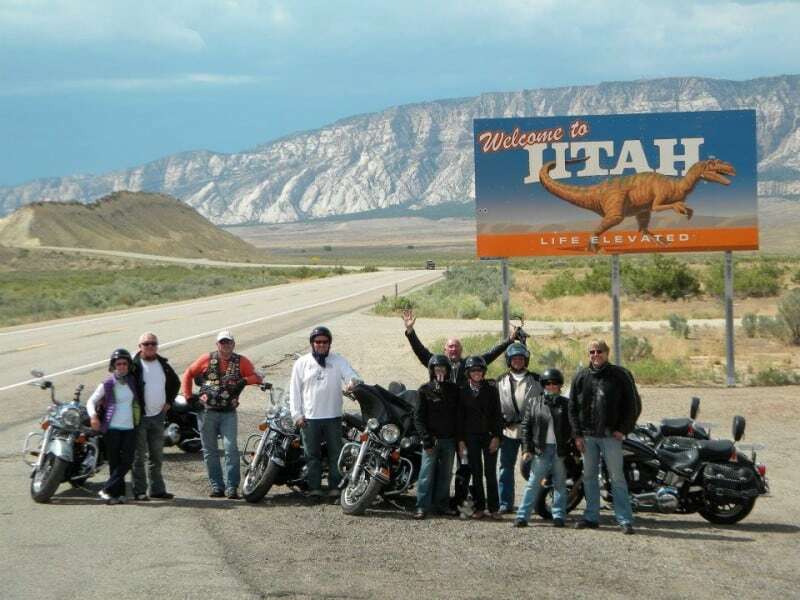 Arrive in Salt Lake City on Day 3 – Ride out and meet other group morning of Day 4 – end in Denver Day 14, depart next day – 3 Nights at Sturgis! 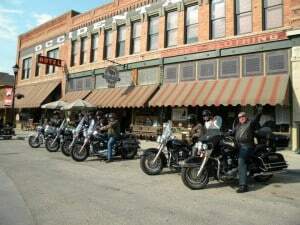 We spend 3 nights in Sturgis this year to have more time to relax and have fun. There will be daily rides to the surrounding areas, or relax and hang out. While the Sturgis Rally is a highlight, the amazing motorcycle ride to and from Sturgis Motorcycle Rally is just as amazing, if not more. 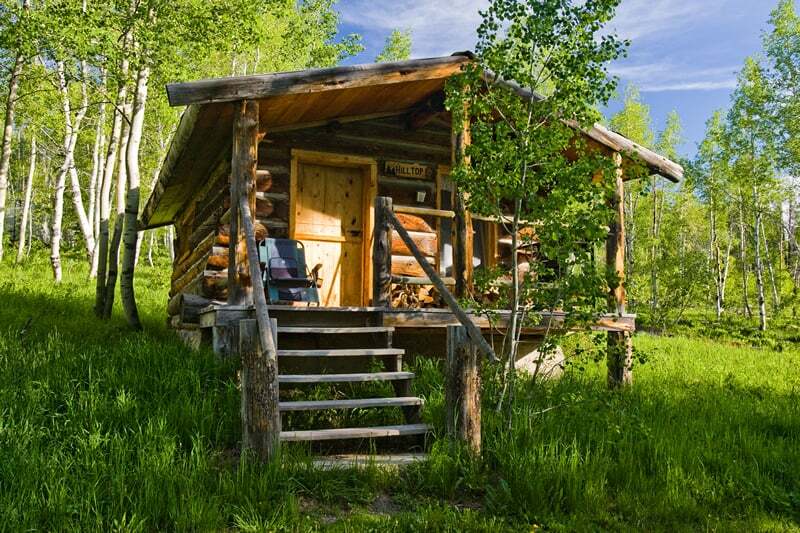 This is the 3 nights in Sturgis option. 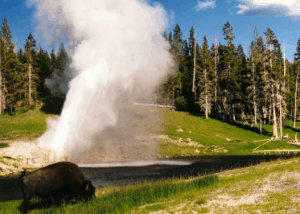 Colorado / Yellowstone Tours – Same as above tours but not a the busy Sturgis time. Looking forward to The Bear Tooth Highway- An amazing ride. We meet for orientation and dinner. We all get together and have a good time, and begin our friendships and journey together. We also pick our bikes up this first day for a shakedown ride to familiarize ourselves with the bike and each other. We head west into the Colorado mountains. We leave the city of Denver behind and open up our Harley Davidson and Indian Motorcycles for the first time. An amazing ride as we head for Steam Boat Springs. Lots of beautiful scenery and some curvy mountains roads. Let’s do our best to stay off the main Highways, and see if we can find some Grizzly Bears! Ashley National Forest is our cue to head North towards Yellowstone, and the Flaming Gorge is breathtaking, and desolate. We ride our motorcycles in to wide open remote spaces. Beautiful vistas and great roads today. 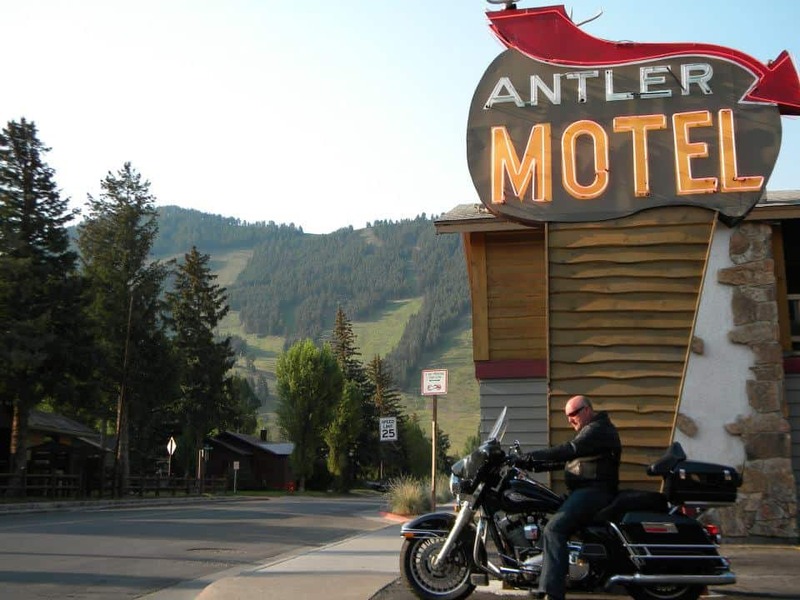 Ride our motorcycles on tour towards and one step closer to Sturgis to the famous Jackson Hole. We are riding from the open spaces towards the larger mountains today. The road into Jackson is an amazing mountain road that follows a crystal clear stream. The long sweeping curves that we carve on our Harleys will keep you grinning ear to ear, and the views are breath taking. Once we arrive in Jackson, it is a really cool town to walk around and see some live music in a Cowboy bar. The Grand Teton National Park and Yellowstone. What more is there? 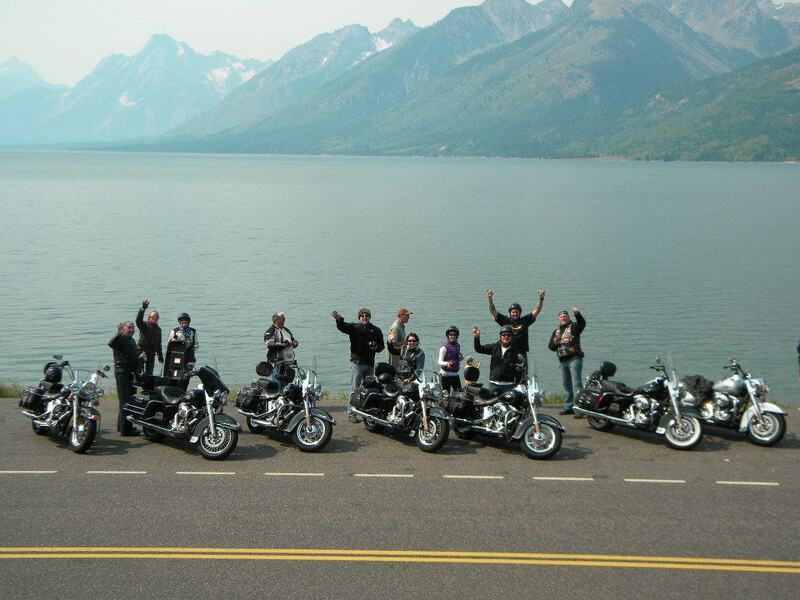 Yes, Sturgis will be great, but we are cruising Yellowstone on Harley-Davidsons! We might see buffalo, wolves, bears, and all kinds of wildlife. Clear mountain lakes look like a postcard. The famous Old Faithful Geyser is on our path today, and maybe a quick dip in a cool mountain stream if it is hot? Leaving Yellowstone we climb higher and deeper in the mountains. On one mountain road on the way out we have see grizzly bears on our motorcycles. It is quite a feeling to be sitting on your Harley looking at a grizzley on the side of the road. The Beginning of the amazing Bear Tooth Highway to the town of Red Lodge, then Cody. 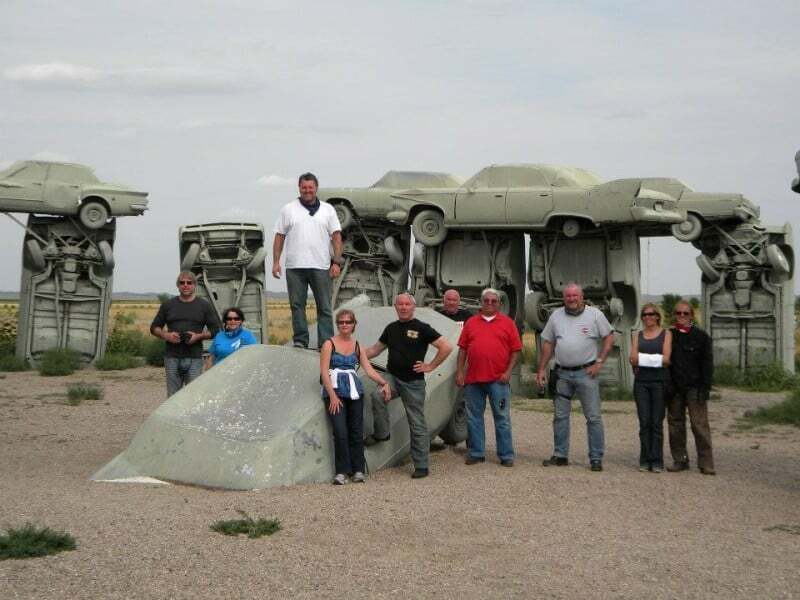 As our Sturgis Motorcycle tour progresses, you will have completely forgotten about Sturgis by this time. Take time and watch the complete video above as we climb the Bear Tooth Highway. This is my favorite day of the trip. If only every day riding motorcycles on tour could be like this day. For lunch the cool town of Red Lodge has some great food. Then we get into Cody and head out to see the rodeo for our evening entertainment. Make some time on the road and get to Sturgis by lunch. Spend the rest of the day figuring what we are going to get into tonight! And, taking in all the sights. It is sensory overload. 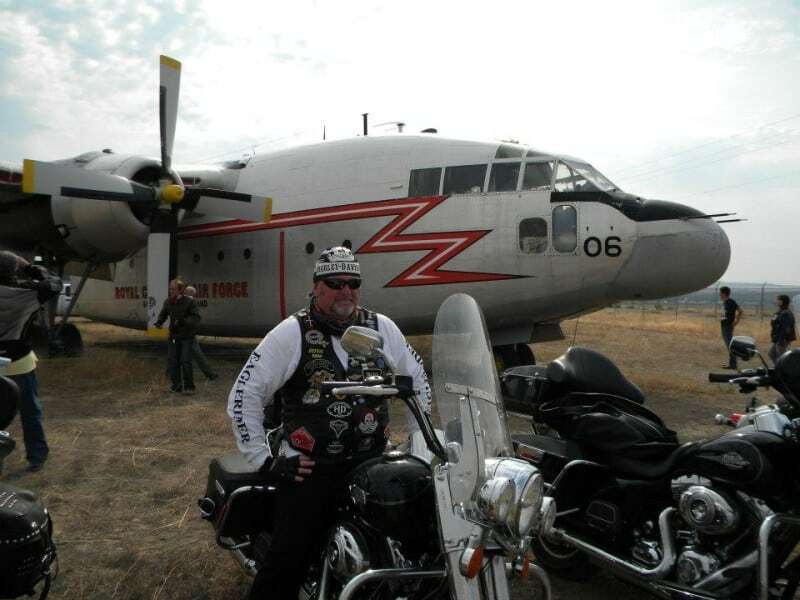 We also have a 4hr more scenic option, but you will be probably itching to get to Sturgis! 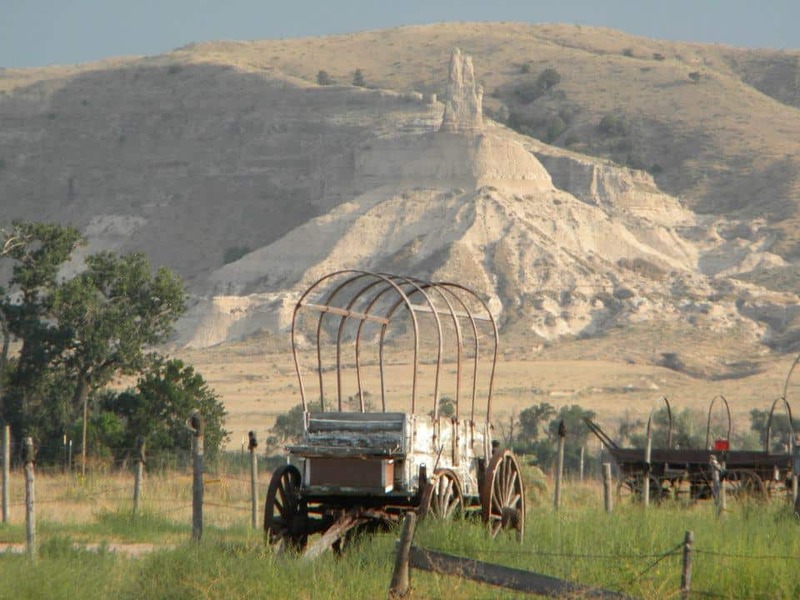 We start slow and give Sturgis one last shakedown before we head into the Black Hills National Forest to see Mount Rushmore and Custer State Park. just spend the day around Stugis all day. It is up to you. 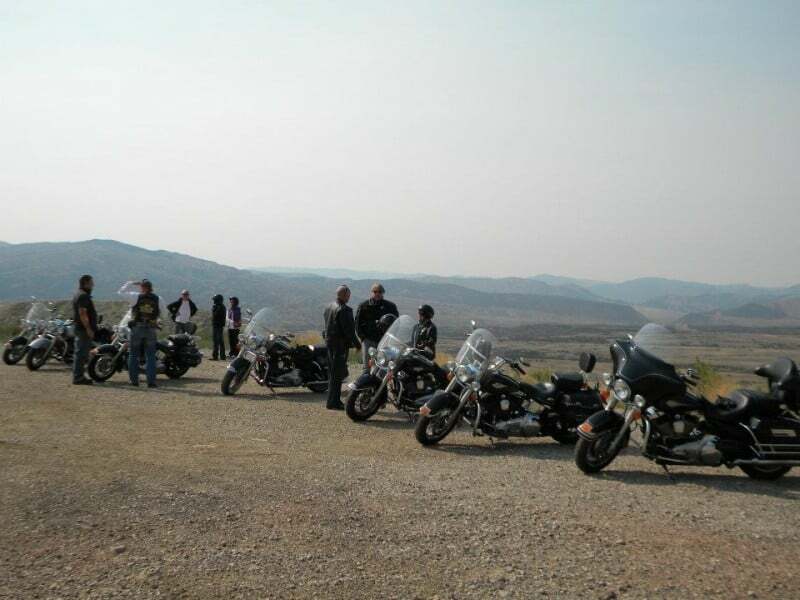 An extra day to just cruise around or hang out at Sturgis, or explore surrounding areas like The Badlands. Even if you are not into the crowds, we can get out and see some amazing things today. You don’t have to spend time in crowds if you don’t want to. We will take you go great day rides. 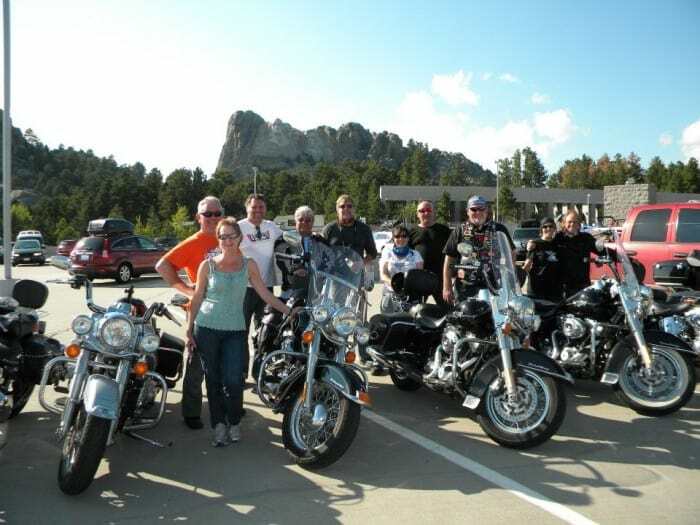 In the past we did the 2 day Sturgis, but it really takes 3 days to explore the Black Hills and take it all in. The Badlands, Indian reservations, and The Great Plains are all part of our amazing day before we roll towards the small town USA Alliance. One last treat of America before we head into town = Carhenge! the local saloons and take a rest ourselves. But, then saddle back up for our final leg to Denver. Viva Las Vegas! We meet up in the afternoon to go over our upcoming adventure, and then hit the town! 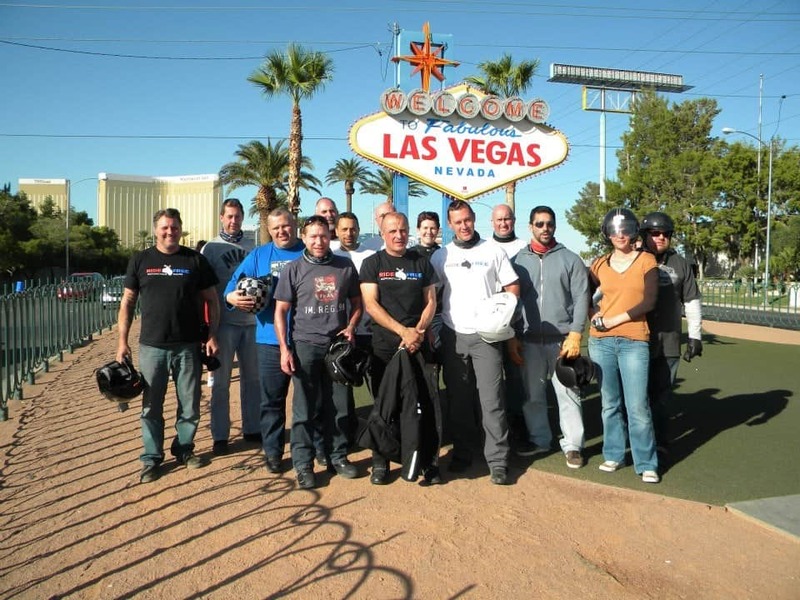 We jump on our Harley Motorcycles and leave the Las Vegas Strip in the dust as we head our of the desert to one of the most amazing areas of the USA. It is like a mini Grand Canyon that we get to ride through! Check out the video of riding through Zion on one of our Guided Harley Motorcycle Tours from a year past. It is like riding your motorbike through the Land of The Lost! We ride North on our motorbikes towards the open land of Utah. 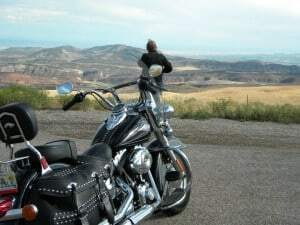 Today more open riding on our bikes through as amazing mountain range on the way to the Sturgis Rally. 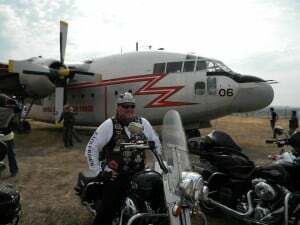 There is so much amazing adventure before we even get to Sturgis. 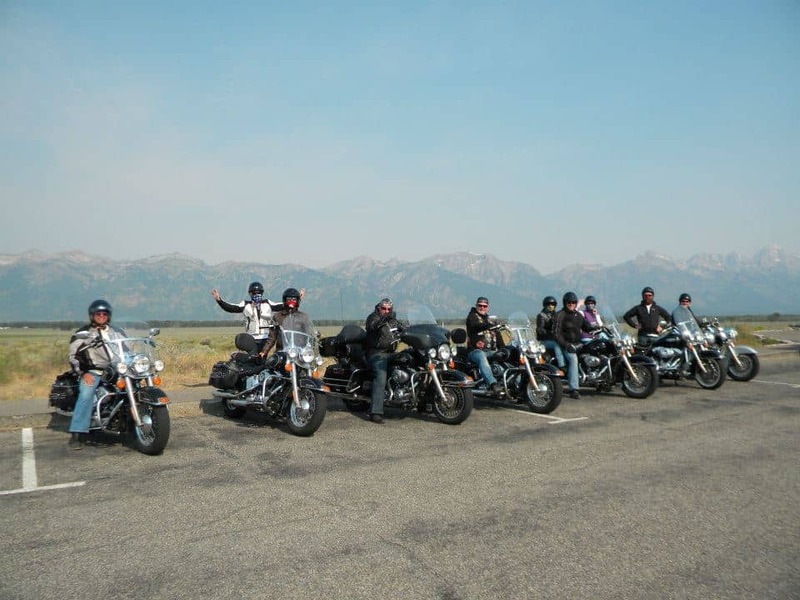 Ride through the Teton National Forest and the famous Jackson Hole. The Beginning of the amazing Bear Tooth Highway to the town of Red Lodge, then Cody. 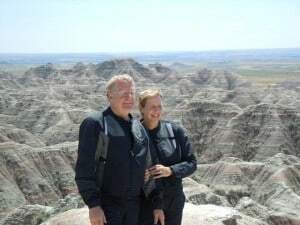 Riding the Bear Tooth Highway on a Harley Davidson is one of the highlights of the motorcycle trip to the Sturgis Rally, and one of the top highlights of my motorcycle riding experiences ever. People on motorcycle tour with us describe it as like riding the Swiss Alps, but with perfectly paved roads and perfectly banked turns. 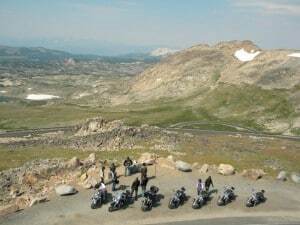 Pass through the Bighorn National Forest on our Harley motorcycles and we have a fun night out on the town in Historic Buffalo. Day 9 – Buffalo to Sturgis Aug 2 – Sturgis 1st Night. Make some time on the road and get to Sturgis by lunch. First night in Sturgis. Spend the rest of the day figuring what we are going to get into tonight!And, taking in all the sights. It is sensory overload. We work our way up to Sturgis. 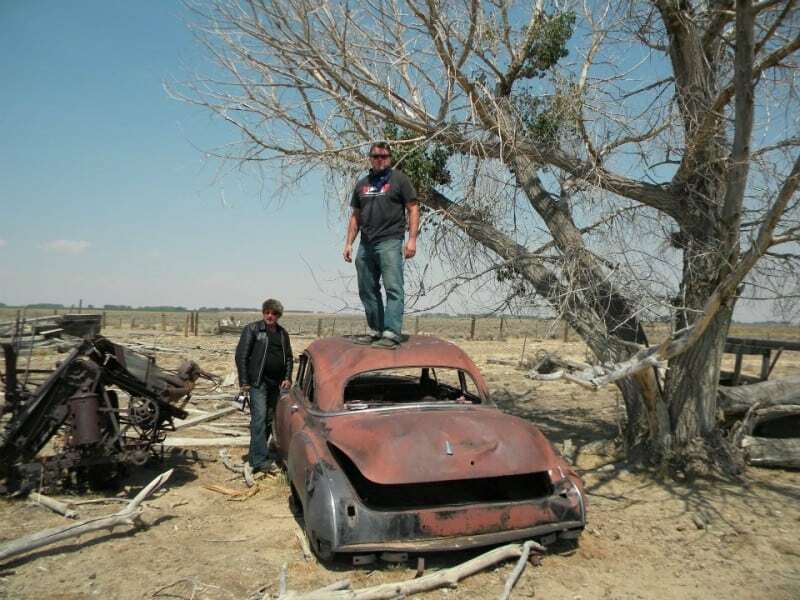 We get to see the Sturgis Rally and experience it first hand for a day and a night, but there is so much more to see. We head west to work our way to Yellowstone National Park. Then down through the mountains, then back through Colorado to Denver. 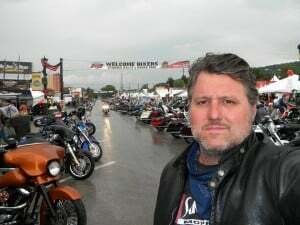 See the Sturgis madness and we will get to see and talk to all of the motorcyclist from all over the world making the Sturgis Pilgrimage. It is an amazing time because there will be so many Harley Davidsons on the road throughout the entire trip. We get to enjoy all the bikes, and great people we meet along the way. 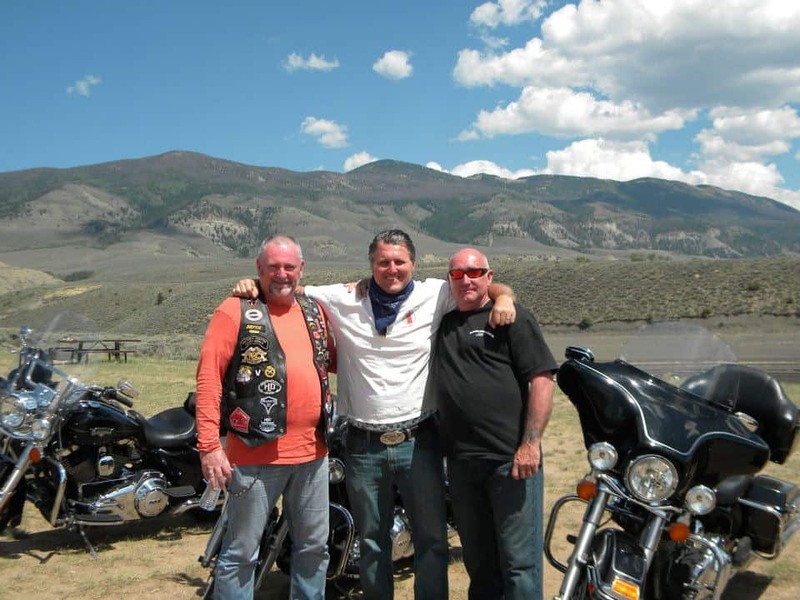 Some highlights in Colorado, South Dakota, Montana, and Wyoming are: Denver, Steamboat Springs, Sturgis Rally, The Black Hills, Mount Rushmore, Cheyenne, Yellowstone, The Bear Tooth Highway, and much more. We start slow towards Sturgis one last shakedown before we head into the Black Hills National Forest to see Mount Rushmore and Custer State Park. Ride to the Badlands, or hang out.
. More motorcycle riding in the Colorado Mountains until we get to the neat town of Durango. 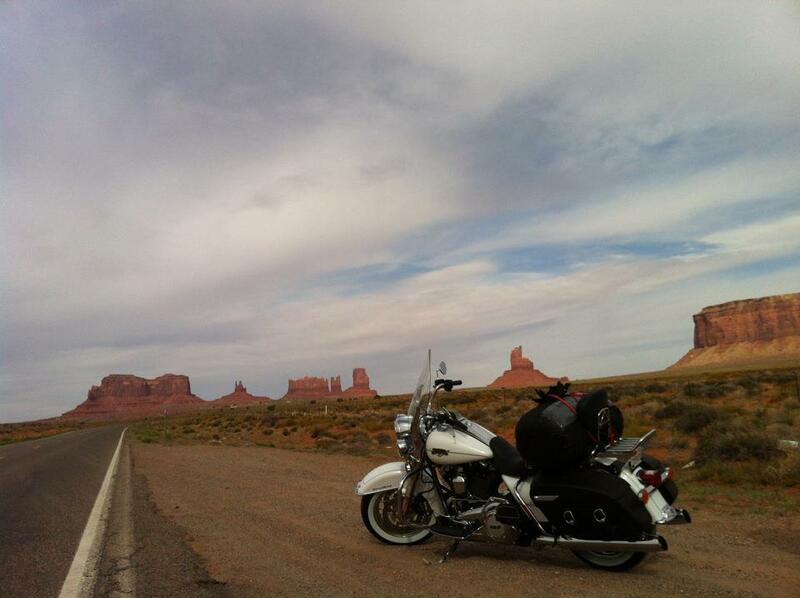 Leaving the Colorado Mountains and Rockies on our motorcycles, we ride through the desert to the famous Monument Valley where so many Western Movies were filmed. An amazing ride up to the Grand Canyon. That is one big hole! Spectacular scenery and canyons on the way. We stop at a real indian trading post to buy some souvenirs before we get to the South Rim of the Grand Canyon on our motorbikes for one of the best sunsets in the world. 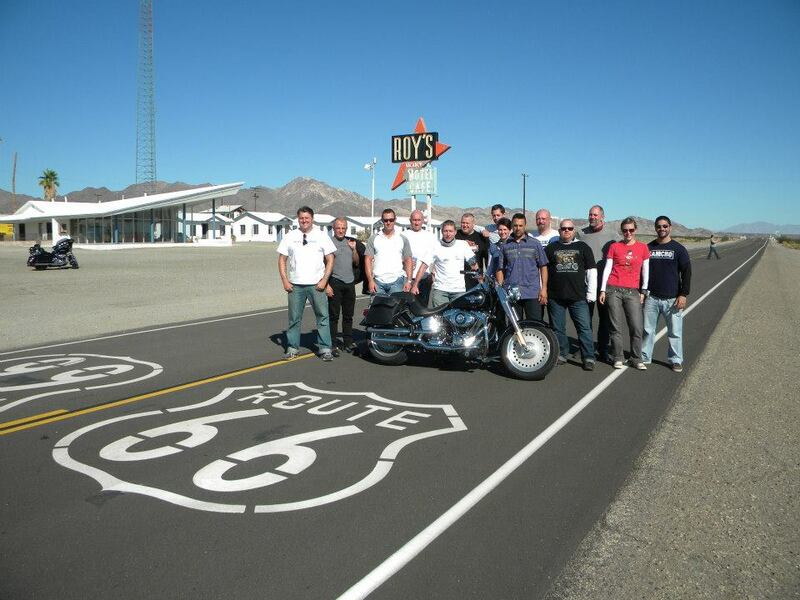 On the last day of our guided motorcycle tour we ride the Route 66. The Harley growls down old RT 66 stopping at some of the iconic stop along the way. Then we turn in our motorcycles and thank them for being do good to us over this amazing motorcycle tour from Vegas, Colorado, The West, to Sturgis, and back again. Tonight we have a victory dinner! There is a $45 + tax a day event surcharge by the rental company on the days of the rally. Depending on which tour you are on, that fee varies. We leave from either Denver or Salt Lake City. 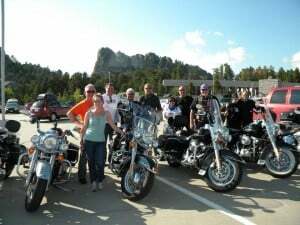 Then we take a couple of days through incredible roads to get to Sturgis, where we spend 2 great days while riding The Black Hills in the morning. 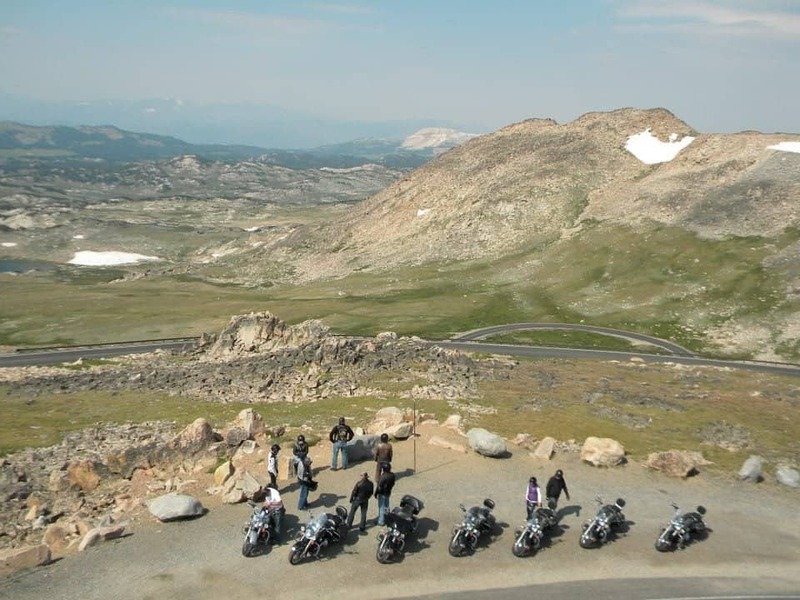 Then we work our way through amazing rides and amazing places on our way back through Colorado and surrounding areas. This will be an incredible ride and adventure. 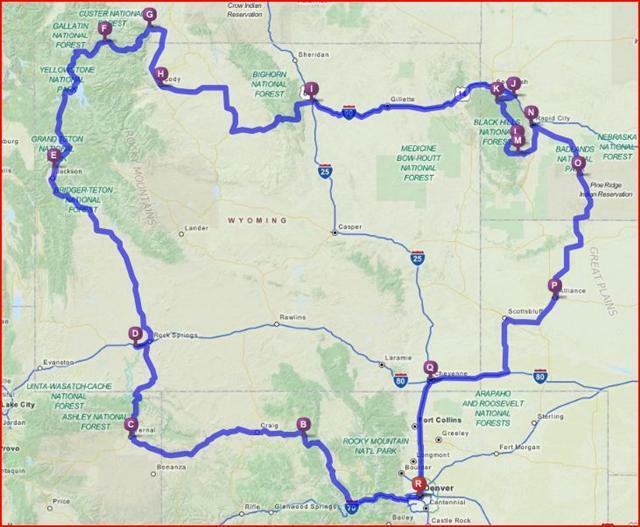 We start in Denver, and head to Sturgis for 2 day while riding the Black Hills in the morning. Then we head to and though Yellowstone, Colorado, then back to Denver. Welcome to the Mile High City of Denver, Colorado. Today begins the first day of the tour with the arrival at your beautiful hotel located in the heart of downtown Denver. Our tour kicks off as we hit the road and wave good-bye to the capital city of Denver. Get ready for a breathtaking ride through the Rocky Mountains on our way to Steamboat Springs. We will pass through the majestic White River National Forest on our left with Rocky Mountain National Park and its snow capped mountain tops on our right. Today we make our way northward to the desert oasis mining town of Green River, Wyoming. As we cross the state line we leave the lush forests of Colorado in the dust and set our sights on the treacherous desert cliffs and mesas of southern Wyoming. This ride is what the “American Wild West” is all about. You can almost hear the faint hiss of the rattlesnakes behind the roar of our bikes! 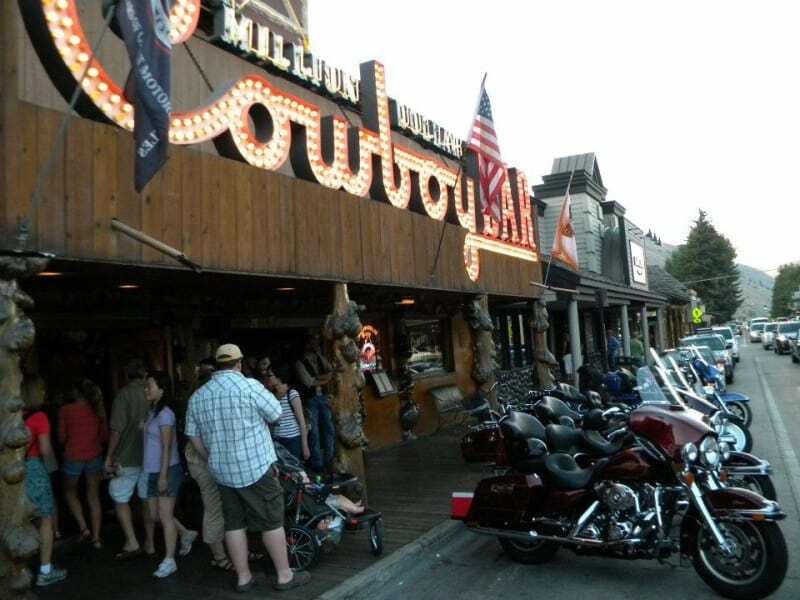 Continuing northward, we head for the famous tourist stop of Jackson (known by many as Jackson Hole), Wyoming. This city is not only celebrated for it’s recreational skiing, but is also known as the base of Grand Teton National Park which contains a portion of the majestic purple Rocky Mountains. Our national song, America The Beautiful, croons over THIS specific area. Today we are graced with a truly incredible view as we leave Jackson, Wyoming and make our way to Cody. Passing through Grand Teton National Park and the crystal clear waters of Jackson Lake we approach a favorite stop of ours–Yellowstone National Park. Known to many as one of the Natural Wonders of the World, Yellowstone is the home to some of the most death-defying canyons, awe-inspiring waterfalls, and active volcanoes. Warning! Keep your eyes pealed as it is also known as the home of hundreds of unique species of Grizzly Bears, wolves, and free-ranging herds of bison and elk. From Cody, we point our bikes eastward for the coal mining town of Buffalo, Wyoming. We will pass through Bighorn National Forest where black bears and moose roam its infinite depths and trout fill its numerous lakes. 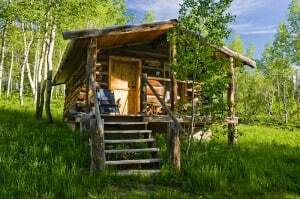 Enjoy the quiet serenity of nature before we make our way to the excitement of Sturgis. While many enjoy the tranquility of the vast span of forests, lakes, mountain ranges, and canyons, the highly anticipated trek to Sturgis finally begins today! Before passing into the state line of South Dakota we’ll pass through the town of Sundance, Wyoming, home of infamous American Old West outlaw the Sundance Kid. 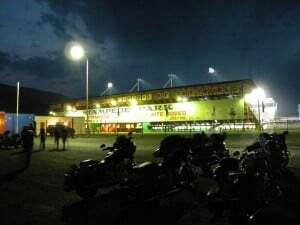 Next we’ll cruise into the town of Sturgis South Dakota and enjoy the week’s festivities with fellow bikers from around the world. We may be sleep deprived after all of the Sturgis festivities, but we press on leaving the Black Hills in our mirrors headed for Cheyenne Wyoming home of the American Cowboy. 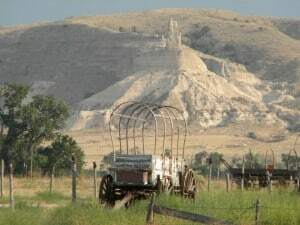 This capital city of Wyoming boomed with the construction of the Union Pacific Railroad in the late 19th century bringing cowboys and outlaws alike to its city limits. Back in the frontier days, Cheyenne was home to the largest outdoor rodeo in America. Today, we will relive that tradition as we ride past its saloon studded posts. 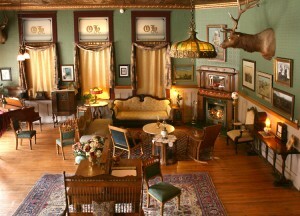 Overnight in Cheyenne. 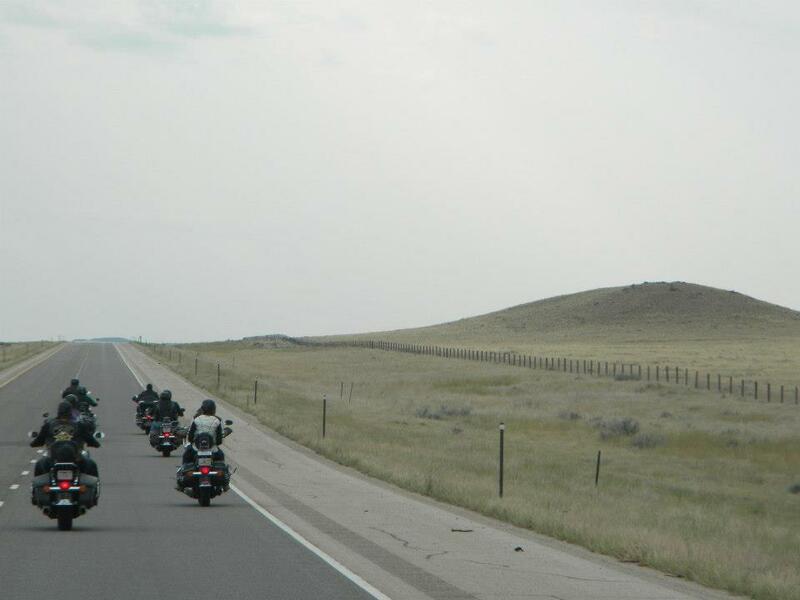 Today concludes our tour with the final leg of our ride from Cheyenne into Denver, Colorado. We ride with the Rocky Mountains smoldering in the west reminding us of the memories and friendships we’ve made along this incredible ride.